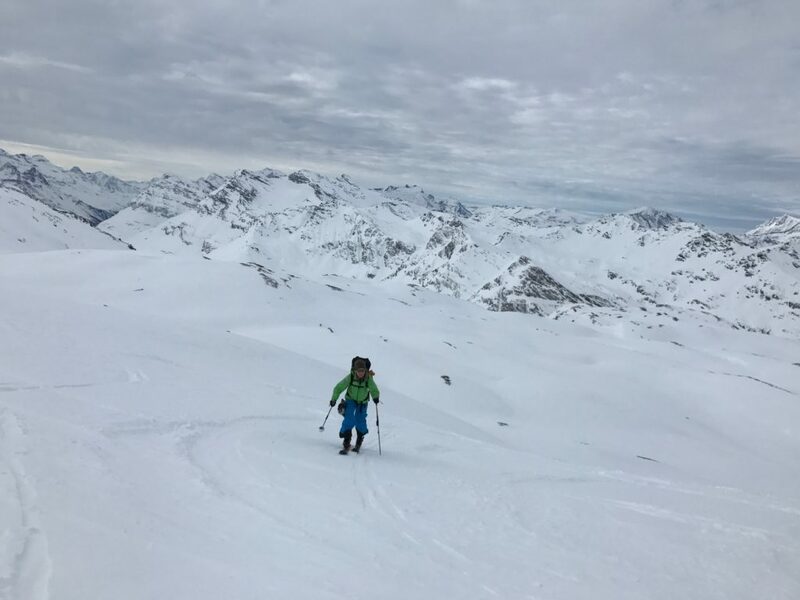 Relating the ‘Here and Now’ of coaching from the book ‘Inner game of Tennis by W. Timothy: Galloway’ to Steep Couloir skiing was a great insight and made me realise how more of a ski coach I am compared to a ski instructor. After 17 seasons of ski teaching I didn’t realise how many techniques of the inner game of tennis I use in relation to my own ski coaching. 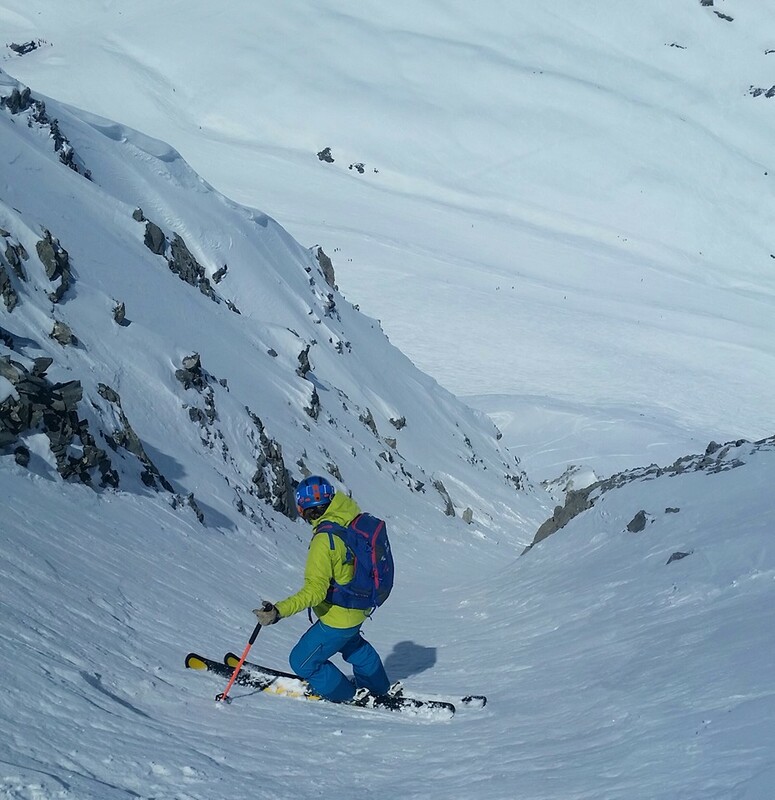 Steep skiing in couloirs is one of my passions and one of the many sides of skiing that I enjoy and coach in. 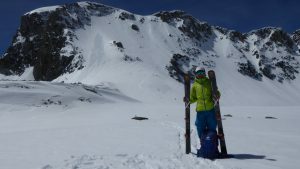 For myself just being in a couloir and skiing in challenging and exposed environments naturally focuses my mind and attention. 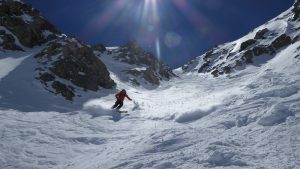 For many other skiers it is a different story as they become nervous, frightened and feel threatened with the exposure. 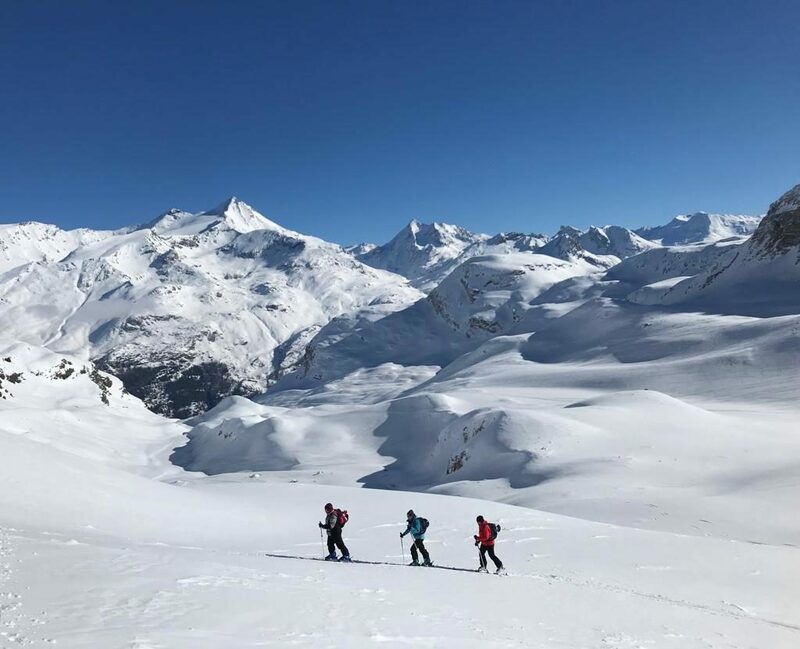 Skiing on steep off piste and in narrow unknown corridors which are often surrounded by rock is where focus, skill and belief is vital for a good and safe decent. Learning to focus your attention is a master skill that has unlimited application. When skiing in a threatening environment where your skills are being pushed you need to learn to focus awareness in the NOW. It means tuning in to what is happening in the present not the past. Concentrate your focus on here and NOW, in present time and in the present space. Most accidents and falls happen when we lapse in concentration as we allow our mind to think about what is about to happen or to dwell whats has already happened in the past. Especially for women that are lacking self confidence. Don’t let your mind absorb itself in the world of “what if’s” “What if I fall over” “What if I can’t make that turn” and then let your mind wander away to “this happened to me last year and this is how I injured my knee” or something totally irrelevant “I can’t believe what that Facebook post said about me”. Since the mind has a will of its own and tends to wander, how can one learn to keep it in the present?The answer is by practise as there is no other way. Every time your mind starts to leak away, simply bring it gently back. 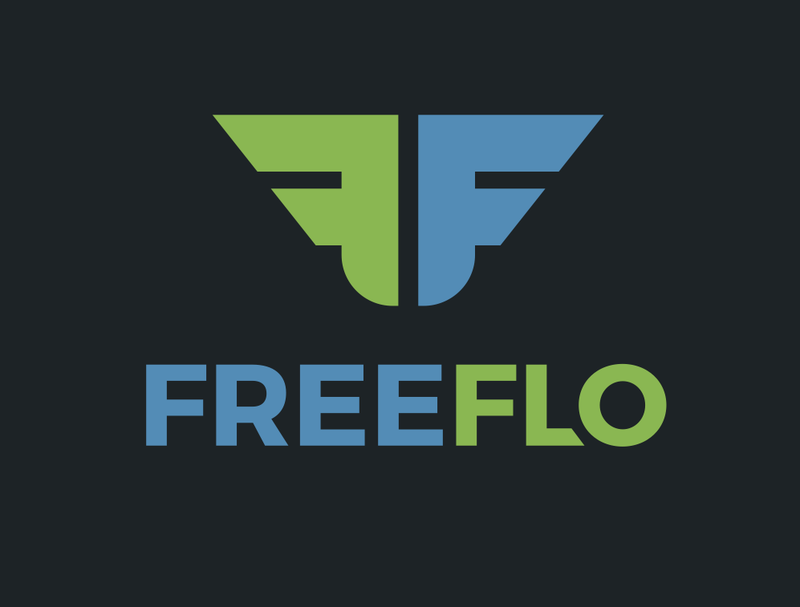 Improve your inner game and your steep skills with private coaching or on the three day Steep Skiing course with FREEFLO. 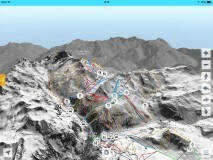 Tignes and Val’ D’Isere’ FATMAP- The world’s most detailed 3D ski map. 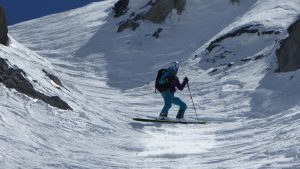 I have a great passion for the off piste and backcountry. 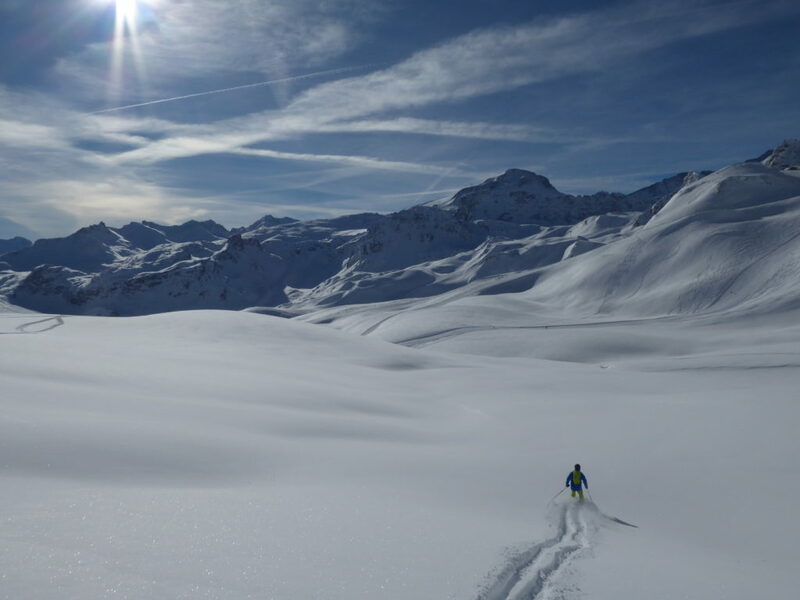 I work and live in the ski resorts of Tignes and Val D’Isere as a British Ski Teacher which is why I was very eager to put the FATMAP of the Espace Killy to test. 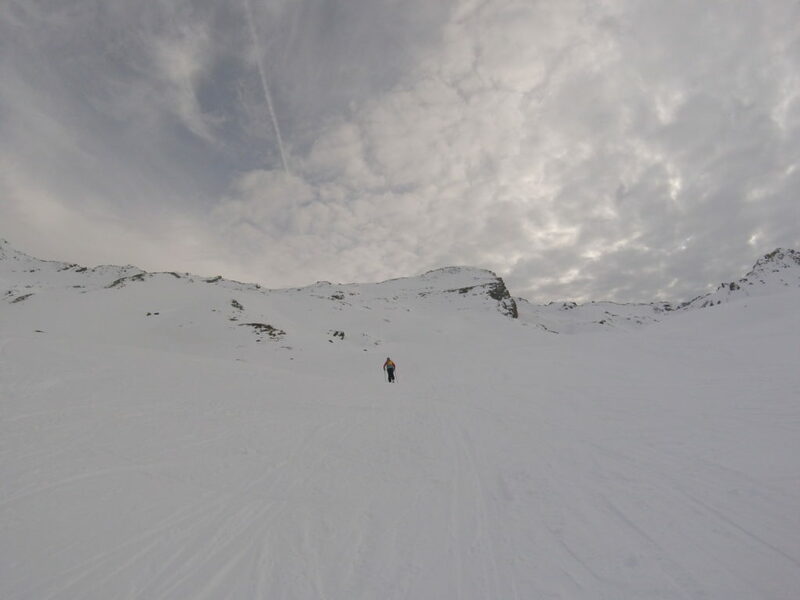 I put the ULTRA-HIGH RESOLUTION 3D MAPPING Fatmap through its paces and completed the ski tour Col Du Fours in the Espace Killy in poor visibility last Monday on my Samsung Galaxy S4 mini. I solely used the fat map and my friend only used the OS map for navigation so we could compare notes. Being a ski enthusiast and not a huge computer fan (I only started to use a touch screen phone last year), I found the map easy to use and it gave me further support and confidence to navigate a new route in poor conditions. One of the main advantages of the map is that it doesn’t rely on internet signal and once downloaded you can use it anywhere on the mountain. I used the 3D Fly-Through many times to ensure I was on the right track. It would have been easier if there was a setting that you could use to pause and to re-start the 3D Fly-Through to save time and battery, instead of starting from the beginning each time. 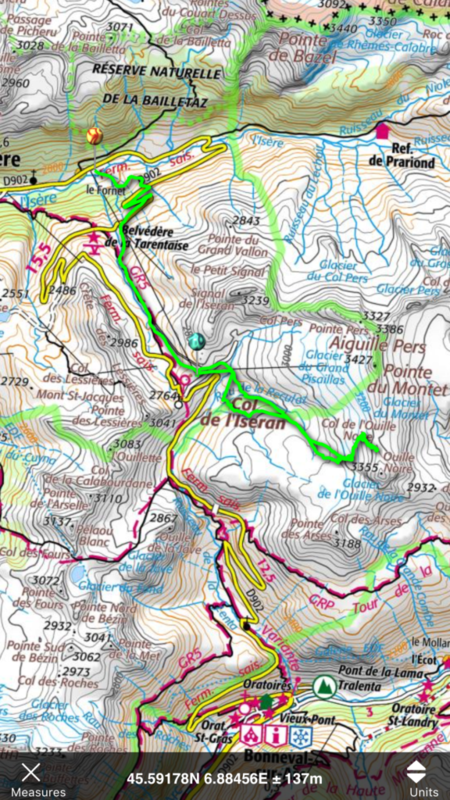 Also if the dotted line on the 3D was illustrated in a different colour showing the uphill ski touring route, it would make it clearer to see the route in a uphill and downhill version. These are comments I have already forwarded to the active FATMAP team by using the Slack app. The description of the tour then backs up the 3D Fly-Throughs so it is even harder to take the wrong route. 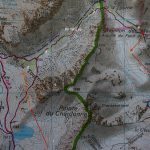 I accessed valuable information quicker and easier using the FATMAP about the route and found out the gradient, aspect, crevasse zones etc; without getting the OS map and compass out. 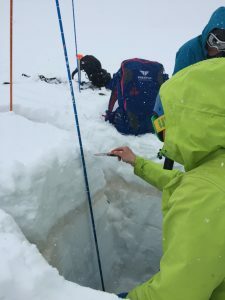 With that information and knowing the weather, avalanche bulletin, history and with my mountain awareness and experience, I could navigate the ski tour and ski down the route safely. Conclusion: FATMAP is the friend that you can fit in your back pocket. 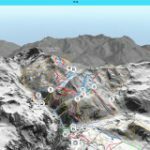 It is the most detailed 3D ski map that I have seen and used. 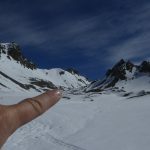 I think that this is a great tool which will support your navigation while skiing off piste. Why wouldn’t you have it in your back pocket as you carry your phone anyway? I will look forward to putting the FATMAP through its paces further and working with the FATMAP team to add new routes and improvements. Dave has had a lifelong passion for maps, he made his first 3D map at the age of eleven. 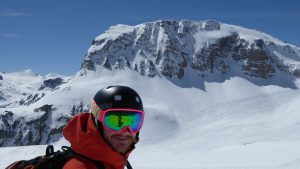 A few years ago, he became obsessed with the idea of creating the ultimate map for skiing. Scholarships to Oxford and Cranfield and 15 years as a software engineer have created the perfect storm. Misha had a mis-spent youth with computers. In between games of Elite he wrote his first computer programme on his Commodore 64 at the age of five. Since then he has been busy building and running successful technology companies in the UK and skiing in his free time. 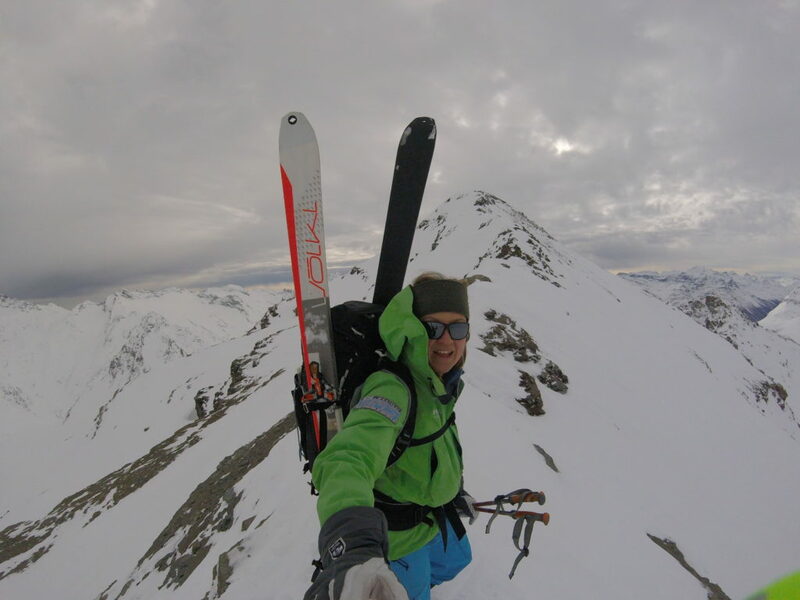 Waiting out a storm on a remote ski expedition to Albania, the idea of FATMAP was born. 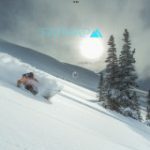 The idea to use the latest mobile and gaming technology to create true to life 3D models of mountains and the information you really want to know as a skier; all on a device that you can carry in your pocket. 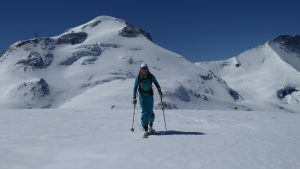 Ski Touring montee la Tourne is a very accessible and a short ski touring route if you haven’t got a high level of fitness or a long time to complete. 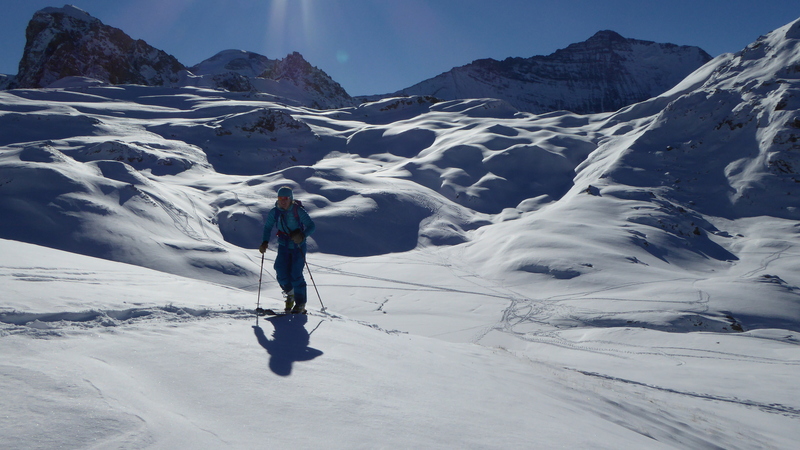 This tour also allows some great off piste skiing in the backcountry of Tignes. 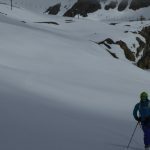 Towards the end of the tour when you head to the col is where you can see some exciting off steep piste skiing routes in the North facing Couloirs of La Tourne. 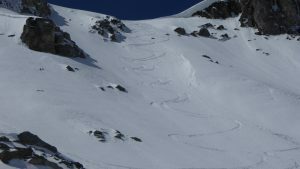 However, this ski tour is quite a technical route as there is a 100m steep pitch where you need to be able to kick turn on which is 32-37 degrees. 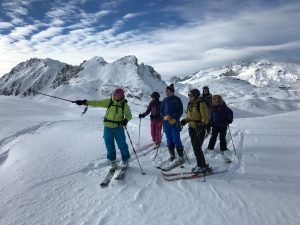 This tour is one of the many ski tours that starts near the Refuge Du Palet which allows you to do some good off piste skiing as well as touring. Its a backcountry paradise where you can get away from the hustle and bustle of the ski resort and be in the peaceful backcountry where you often don’t see anyone.